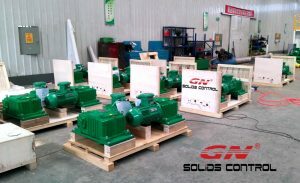 Asian customers have ordered agitator and mud pump to prepare for delivery.GN Soilds Control has established good cooperation with Asian customers all the year round. The mixer and mud pump ordered by this Asian customer are urgently needed on site. The management staff of the management center stepped up the production in strict accordance with the actual needs of Asian customers, and successfully completed the processing test of the mixer and mud pump in the quality and quantity guaranteed by the customers in Asia. During this period, Asian customer supervisors visited the site to check the production process and work progress. 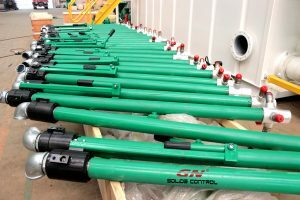 After the customer saw it, they praised the professionalism of GN Soilds Control products and praised the professionalism of GN Soilds Control employees. Mud transfer pumps ordered by Asian customers mainly include sand pumps, vacuum pumps and screw pumps. 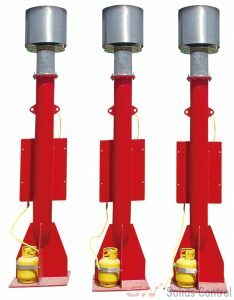 The sand pump is designed for pumping drilling fluid or industrial suspension. 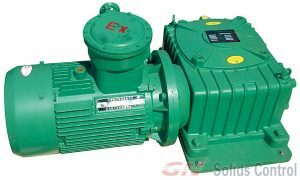 Compared with ordinary pumps, it has excellent performance, large equipment flow, high temperature resistance on site, long service life, easy maintenance on site operators, high reliability and remarkable energy saving effect. Features. The vacuum pump transports more than 80% of the solid phase and high specific gravity materials at high speed. It is widely used in the transportation of waste mud from offshore platforms. The drill cuttings from the vibrating screen, the bottom of the sludge, the bilge cleaning of the ship, the sand, the fine sand. , and fracturing sand and other fields. Screw pump accessories are few, compatible structure, small size, easy maintenance, rotor and stator are the wearing parts of the pump, easy to replace. The screw pump stator is made of synthetic rubber and has special advantages over other pumps in transferring waste slurry of high viscosity and hard suspension.